It is basically the same wheel as ADVANCED, but with less joints so it's 3 parts, easily dismantlement, aluminium and steel composition. It is slightly lighter( 1.5 kilo or so ) since it has less steel joints. This model has bigger parts than ADVANDED or POR. It is usually Oversize in the plane, and does not fit in all car trunks. A very simple, yet beautifull apparatus. Spin, roll and coinspin witht his wonderfull apparatus that will amaze the crowds. Very simple in shape, yet very hard to manifacture, as the Circle is the 'Perfect Form'. It is not no hard to build one, but it is very hard to build a good one. Ask people who tried. 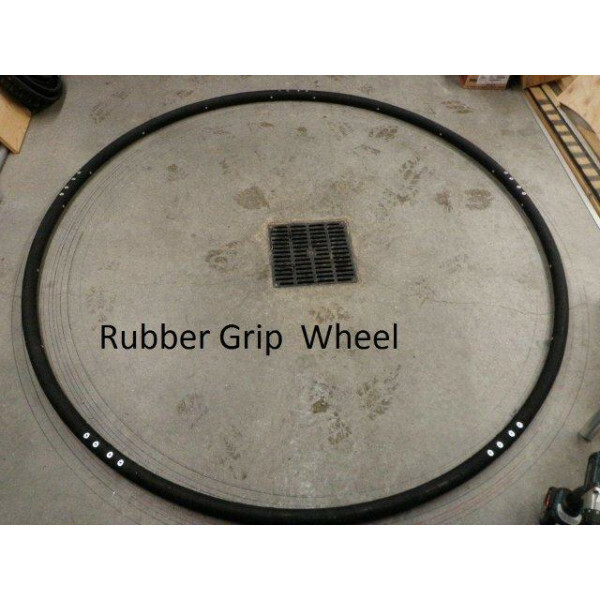 A good wheel should be round, the tubing not deformed( tubings are often ovals because of incorrect rolling dies ) and flat on the ground when you put it on a flat ground. Also, findind the perfect covering takes a long time. This model is aimed at the cheapest price, but yet has the same spinning quality as ADVANCED model, but not as practical to travel. Wheels have to be the right size for each person's height too. This is very important. Our experience will help us help YOU determine the best size for you. We will fit the right size for you when you provide your height in the order. 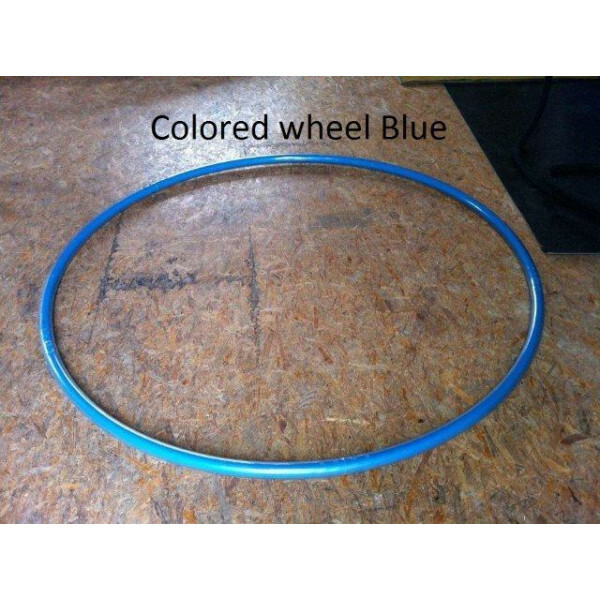 Our wheels are Aluminium, to keep them light and transportable, with non plated metal joints. We do not keep this model in stock, we will manifacture it just for your size! 3 parts makes medium parts that that are light. Unfortunately it does not fit in all car trunks, and is oversize in the plane. NEW - 14 KG for the 1.5" Grip Size model - We have found out that too light wheels slip more easily from the floor, so we have increase the weight of those wheel with heavier joints. Steel joints for strenght and toughness. Not plated, might rust with time or in corrosive environments. 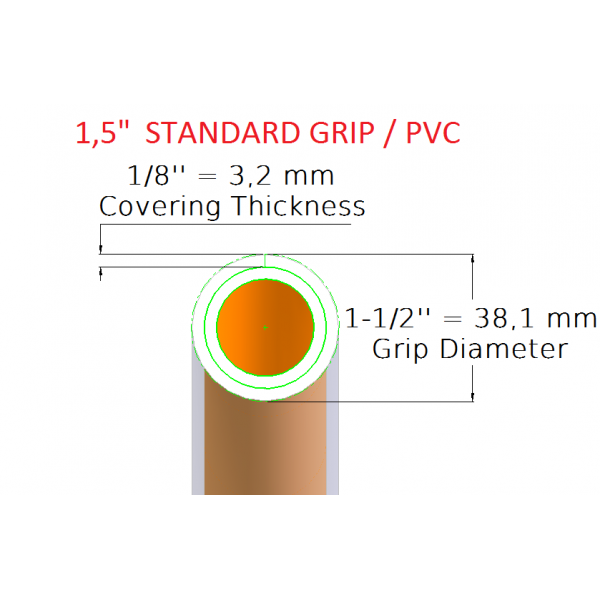 2" EXTRA STRONG ( Actual Diameter is 1-7/8)- XStrong Model with double wall thickness. 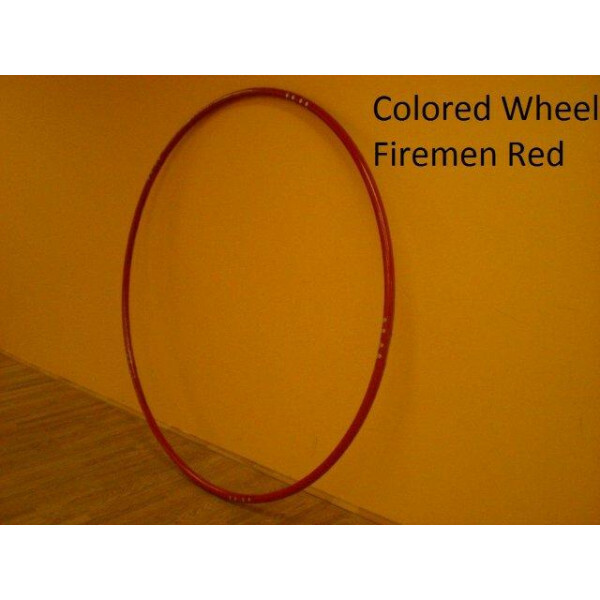 Recommended for artists doing heavy tricks or any artist of 90kg or more. 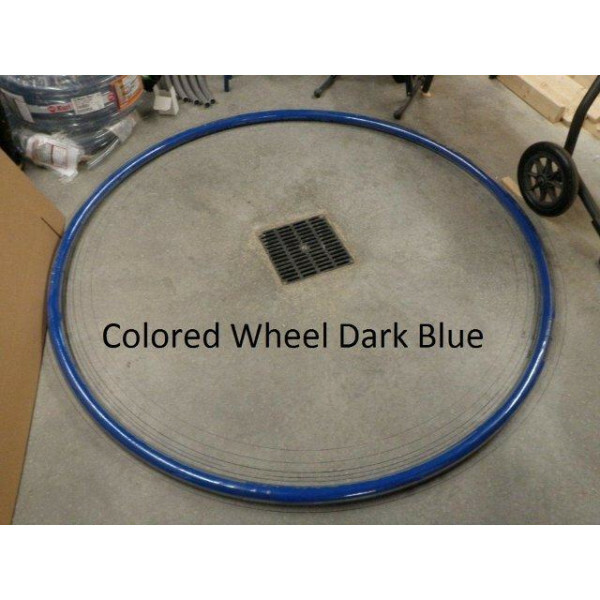 You can order you Standard wheel in any color you would like. 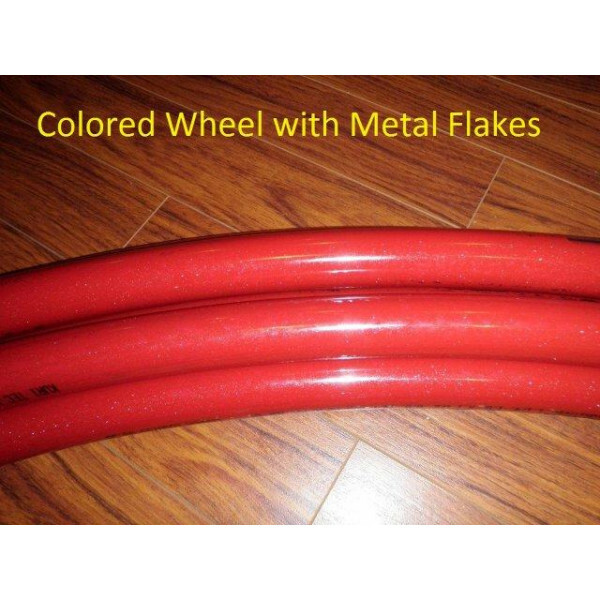 We offer Powder coated paint jobs for our wheels. select you color code in the color picker up there.